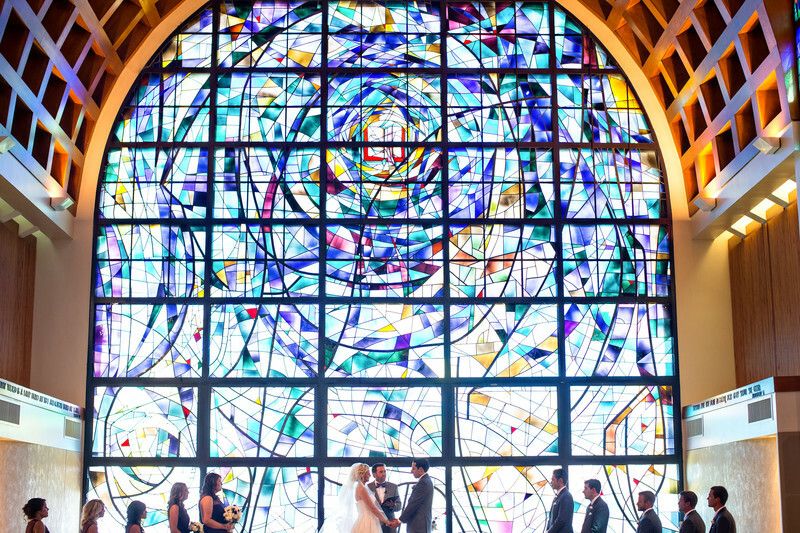 The stained glass detail and vivid color of Stauffer Chapel in Malibu, CA is a sight to behold! Kelly & Edward made their lifelong committments here with this beautiful backdrop looking on. Location: 24255 Pacific Coast Highway.Malibu, CA 90263.